Not many players in football history have endured as much hate as Cristiano Ronaldo. It is unthinkable how the 31-year-old performs at the highest level with so much unwarranted flak hurled at him. The former Manchester United winger once said, “Your love makes me strong, Your hate makes me unstoppable”. No one can deny the fact that Ronaldo has always comeback stronger whenever criticism is tossed his way. It is futile to discuss the ability of the Real Madrid number 7 as after a decade at the top, it is now safe to say that Ronaldo is one of the greatest players to grace the football field. Arguably, he is also the best athlete in the history of the sport. We are incredibly lucky to witness two of the best players in the history of the sport at the same time. 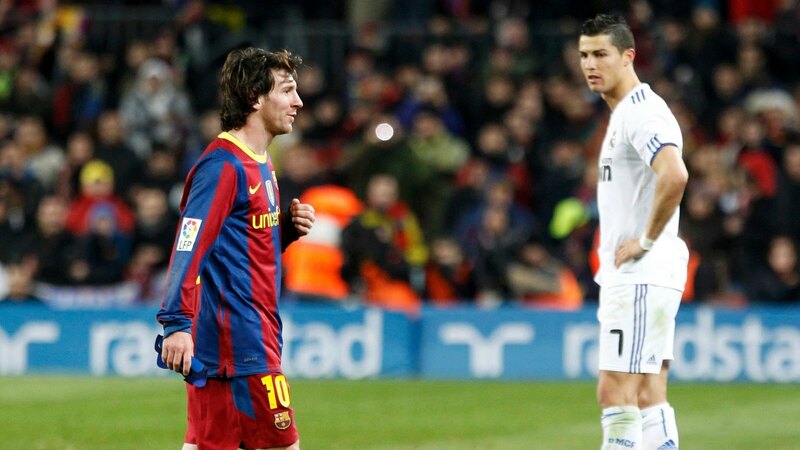 Ronaldo and Messi are unarguably the two indisputable greats of the 21st century. It is foolish to compare the duo when you can sit back, relax and witness the magic these two pull off on each Match Day. Their stats are extraordinary and it will not be wrong to say that the two push each to get better in every aspect. Messi is unarguably the best dribbler in the world while Ronaldo has predator instincts, better than anyone else in the game. No we are not going to make comparisons! Let us stop here and make our point that both these gentleman are exceptional at what they do. So, why Ronaldo attracts more undeserved hate? It certainly can’t be his ability on the pitch. The Real Madrid stalwart can walk into any team and prove himself as one of the best in the squad after ninety minutes on the pitch. When we compare their desire to win, the Argentine and the Portuguese are almost inseparable. But their image off the field makes a huge difference. Messi is a modest guy and tries to stay away from the limelight while Ronaldo loves the attention, which is not a good reason to hate a guy. From this we can conclude that Messi also actively participates in the Ballon d’Or race and chooses not to make it public. So, hating or criticizing a person for openly stating what he aims for, seems unfair. Cristiano Ronaldo loves scoring goals, probably more than styling his hair, probably more than his rock-hard abs and probably more than his former club Manchester United. Ronaldo is hungry for goals and putting the ball back in the back of the net gives him a sense of completion. Ronaldo has a belief that he is the best and is quite vocal about it. If you cannot believe it, how can you be the best? And, is it really wrong to say what you really believe? Even the greatest boxer of all-time, Mohammed Ali openly claimed himself as the greatest on many occasions. Yes, modesty is a very good virtue but even Lionel Messi will be lying if he claims that he doesn’t believe he is better than any other footballer on the planet. Cristiano Ronaldo does not celebrate the goals scored by his teammates. But the former Sporting Lisbon player goes crazy after netting a tap-in into an empty net. Personal glory matters to him more than his achievements with the team. Even if all the above statements are true, could it because of the expectations, the weight on his shoulders and the constant jeering of the Santiago Bernabeu faithful who want their record goal scorer to behave the way they want him to be? Is it abnormal to expect anything other than this from a player who gets criticized if he goes two or three games without scoring a goal. Lionel Messi can go ten games without scoring and the Camp Nou crowd will still give him a standing ovation but Real Madrid supporters are different breed. The three-time Ballon d’Or gets very less gratitude for his massive efforts and contribution during his short time in Spain. In February 2016, Cristiano Ronaldo became the first athlete to reach 200 million followers on social media platforms. Yes, he is one of the most famous sports personalities in the world and he definitely deserves all the attention. He is an attention seeker alike many other celebrities and many of his gestures are a direct action of his need for more and more recognition. Ronaldo is a normal human being who pursues love and respect from all. Ronaldo has cut a frustrated figure in a few matches. In the last few years, his antics on the field include throwing punches, kicking players and diving. Well, diving is inexcusable but the other two can be a result of mounting pressure. Whenever Real Madrid lose or draw, Ronaldo is always the first person to be judged. A few moments of madness cannot tarnish Ronaldo’s body of work and limited number of such incidents are mostly forgettable. Ronaldo tops the list of world’s most charitable sports stars. His records, achievements and stats in football are unreal. A decade ago, it would have been unthinkable that a player named ‘Ronaldo’ will be able to thrive and even surpass the Brazilian with the same name. We, as football fans, should be delighted to witness a player as special as Cristiano Ronaldo because players of such stature and caliber come once in fifty years. He is a special player who deserves respect not hate!